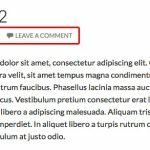 If you use Twenty Ten and WordPress 4.7 or newer, you can put the css code in this tutorial, directly to your Additional CSS file. 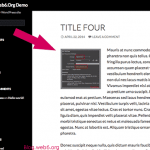 See this feature on my post about WordPress 4.7 new features a few weeks ago. 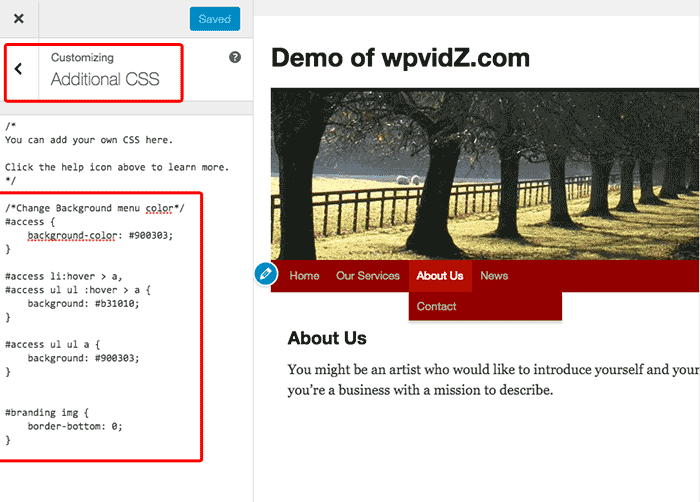 With WP 4.7 or newer, you don’t need a child theme to do this, use your “Additional CSS” feature! Click on “Customize” button on your top bar, while you are logged in. Copy and paste the CSS codes below (on the step (3) – scroll down or the one with the transition colour in the end of the post) in that “Additional CSS” tab, as shown in the picture below. Click save button, and close the customizer, check your site. 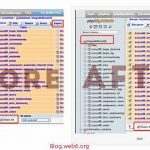 Clean browser cache if it does not show the change you’ve made. 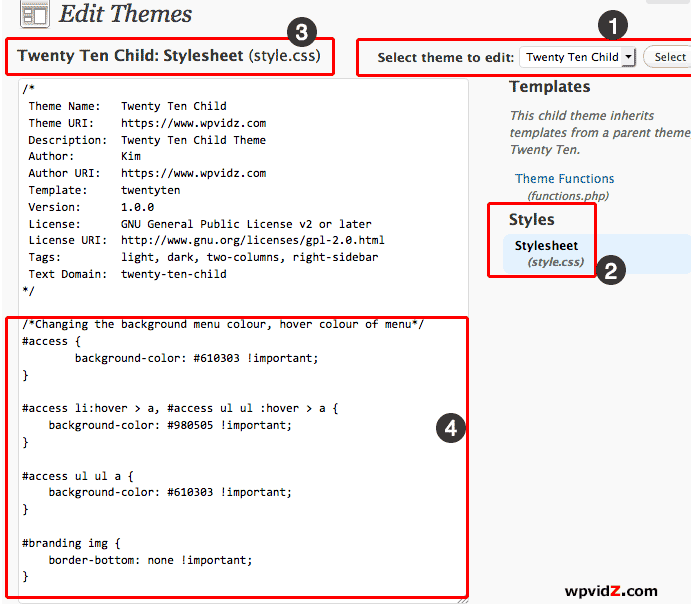 If you use older version of WP, you will need a child theme. To replace that default black color background, you have to edit the css file. But to be save, create a child theme first the link to my tutorial is above ↑ in the beginning of this post. So that if this default theme has updates, your modification files will stay. 1. 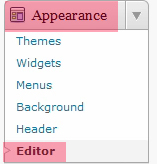 In your dashboard, go to “Appearance” and “Editor”. Basically I Replaced the code background:#000; with background-color:#900303; and add the !important so that the style of the child theme will be applied as an important style. Then, I also remove the black thin border above the menu bar, which actually belongs to header image. Alternatively, you can alter your child theme functions.php to make the child theme override the parent theme immediately, to avoid adding !important, see the codex page. I think adding transition colour changes add a bit nicer delay soft changes, try it. You can add transition: background-color 0.5s ease; to each background colour targeting the menu, so this is the whole code you want to add instead the above code. Result: the menu background colour is now no longer black and the hover colour will be a lighter colour than #900303, which I chose #b31010 and it has nice transition colour delay. That’s it, now you have a Twenty Ten theme with other menu background colour. Great site. I am wondering, is there a way to change the color or add an image to individual pages? Not the background, or menu, but the pages. 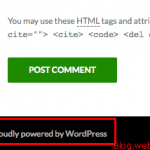 I looked under Pages on the WordPress Dashboard, but could not find a setting. I am creating a self hosted site. 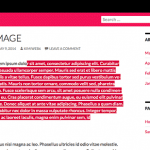 Thanks for this great post – I’ve just successfully changed the colours on a friends site – but now I want to know how to change the link text colour and the visited link text color, as well as the Text that is above the header in the 2010 theme. Do you have a post explaining that? Just point me in the right direction if you can – thanks! (I just need to know where in the stylesheet to find the right bits). There are also a couple of lines in the theme that are very bold and black and I’d like to change those as well. To change the color of link text, it depends on what you aim for. If you want to change the whole links including in sidebar text, then it is in style.css file which says, a link code. Or if you want to change only text link in the content then we need to put a class div color, as well as the continue reading text link color. I will make a video tutorial in the next days about it, subscribe if you like, it is free. Also please reminds me if i forget because i have many people ask some questions, I will be happy to be able to help! 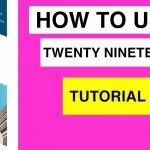 Nice and easy good tutorial made it quick for me to change the navigation color and Im a newbee in WordPress. 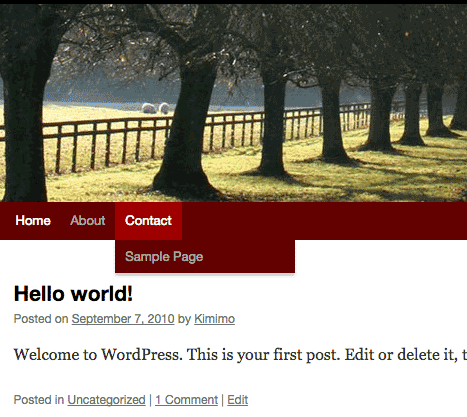 I am very glad that my tutorial was easy to follow and help you to change the navigation of your blog. 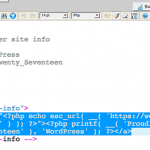 I was once newbie too, and like you, i love WordPress more each day. Thanks for leaving nice words, Frank, talk to you soon. Hi, thanks, this is simple and helpful. Now I’d like for the menu background colors to be different for each menu item. Possible? Yes, it is possible, see my “free services” tab, it has different style than the others by applying page id class. But how do you change the color of the black line above the header image? another awesome tutorial, got the menu changed but did not use “red” or wording for hoover, worked fine with #. Thanks, I looked at several solutions to this that did not give full clear details of how to change the colours in plain English.Really annoying, thanks to your clear instructions I did this within 5 minutes. Still not sure what shade is best though. Thanks again for helping me out with such amazingly clear and easy to understand tutorials for WordPress. You’re brilliant and it is a fantastically helpful site. Thank you so very much. 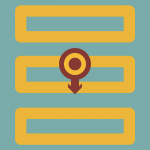 I am new to wordpress and I am trying to change the menu bar color and hover color. I have look in my css and can’t seem to figure it out.